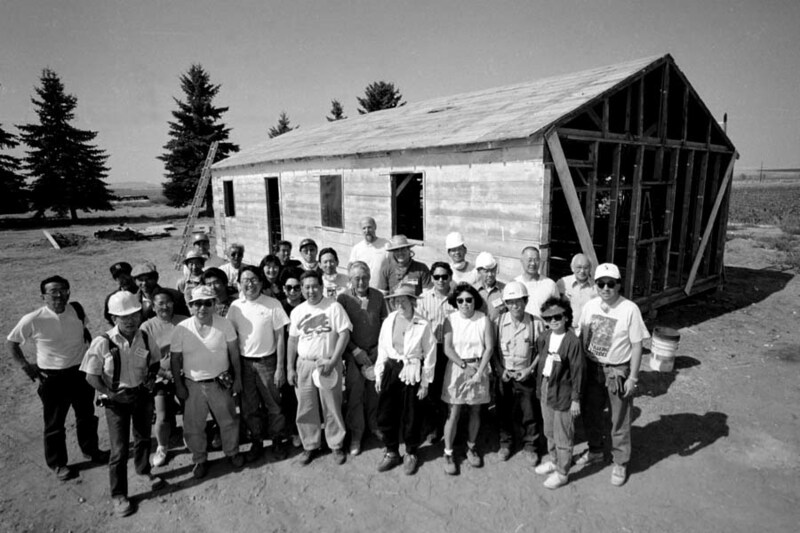 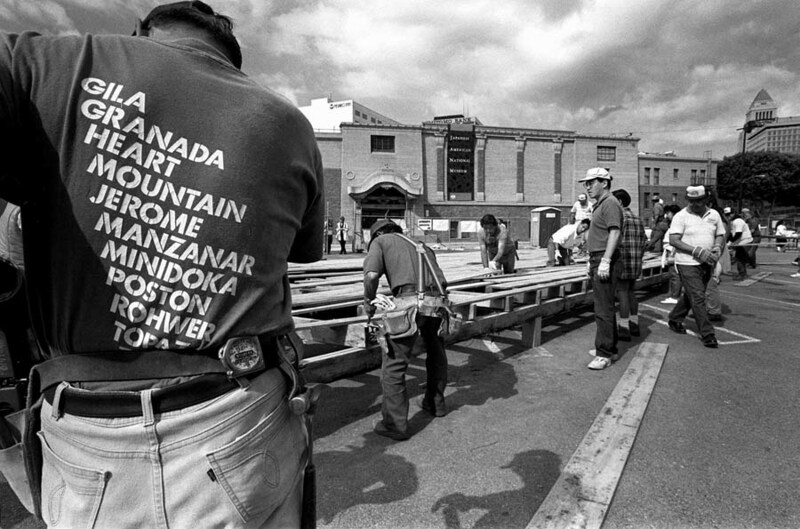 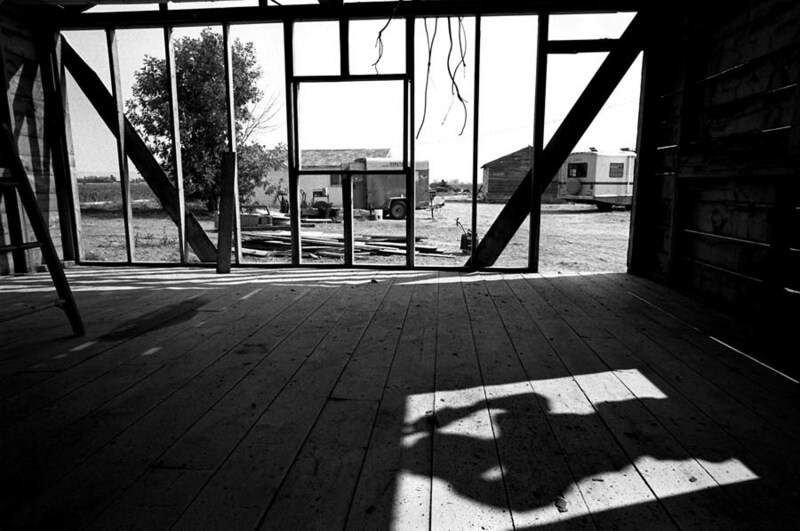 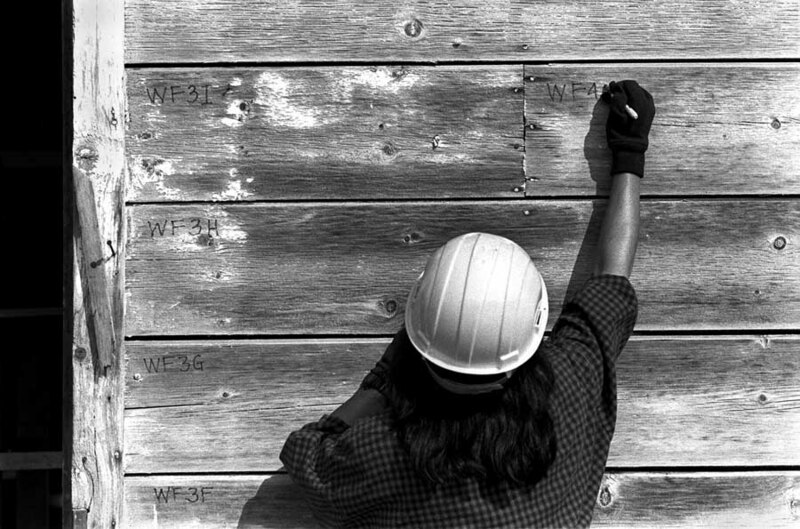 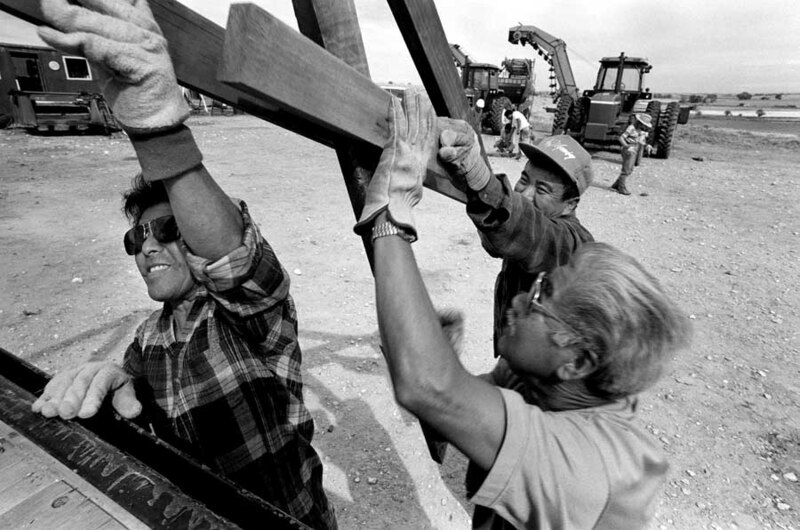 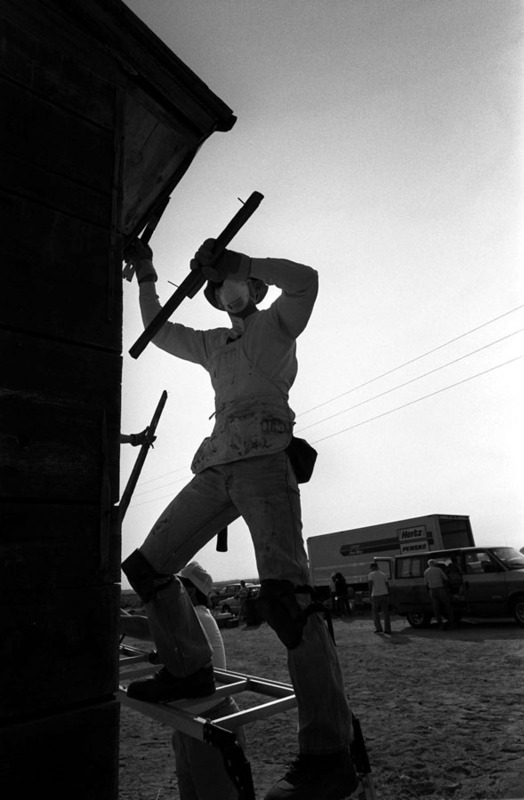 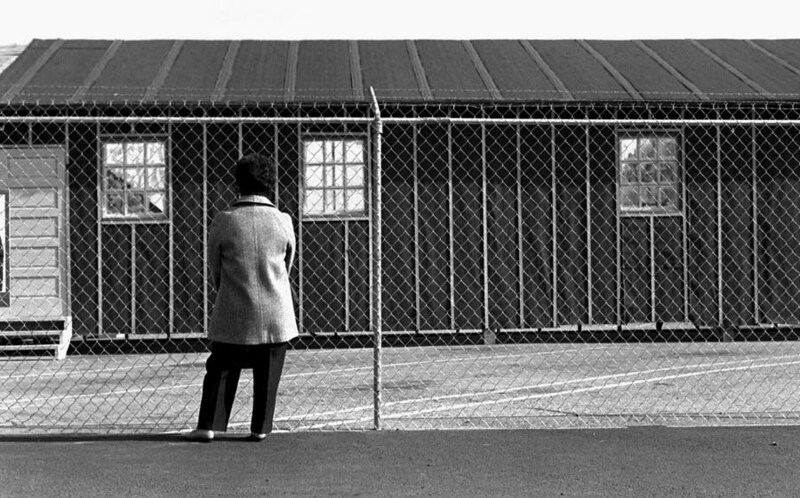 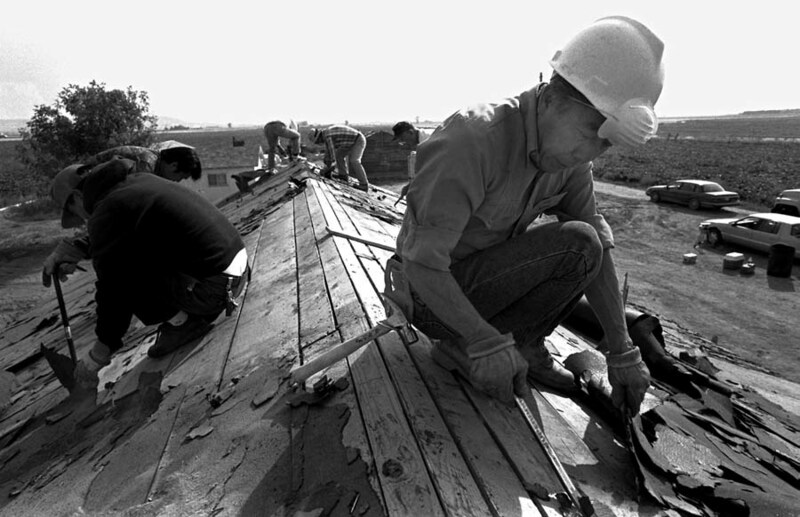 Volunteers organized by the Japanese American National Museum travel to Powell, Wyoming in 1994 to preserve two original barracks from the Heart Mountain internment camp. 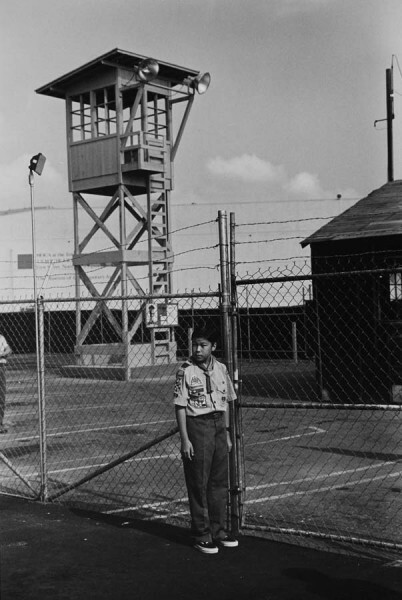 Many of the workers were former inmates or their children. 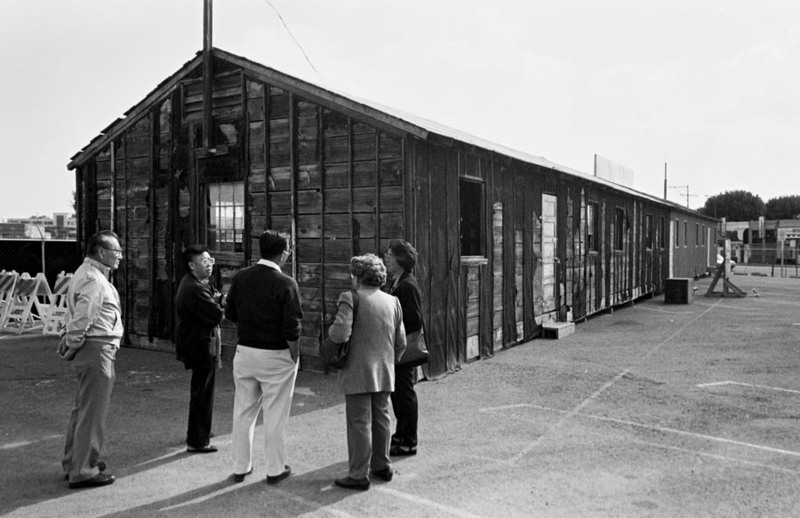 The dismantled barracks were trucked to Los Angeles and one was rebuilt next to the museum. 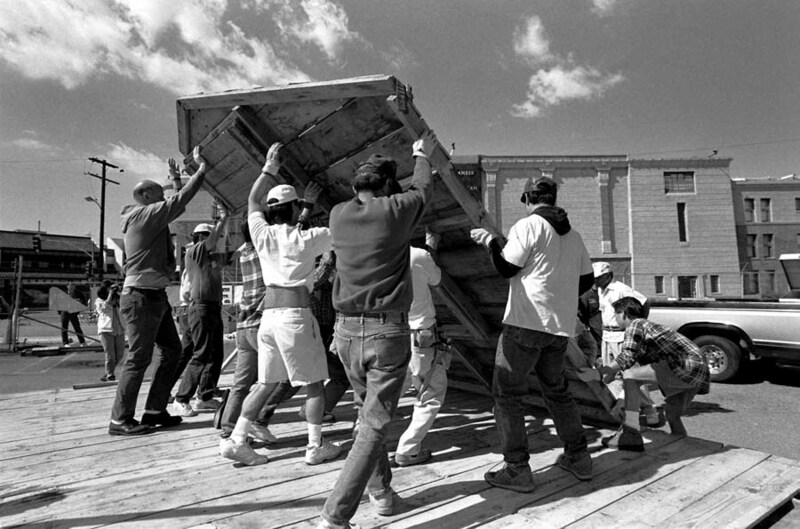 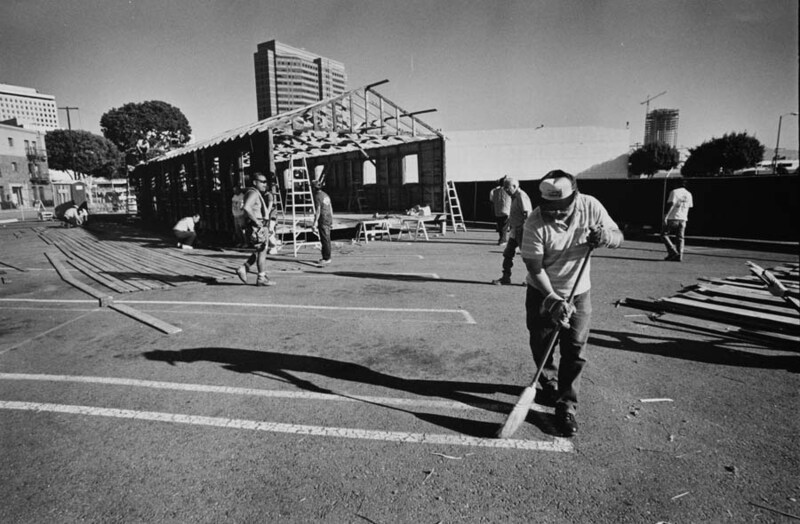 Los Angeles- Volunteers assemble barrack next to the Japanese American National Museum.